SPRINGFIELD TENNESSEE: (Smokey Barn News) – Less than 24 hours after releasing screenshots of suspects taken from security footage of a burglary at Lee’s Building Center in Springfield to the media, Springfield Police made three arrests. According to Springfield Police Detective Rickie Morris, after seeing the story on Smokey Barn News several citizens contacted police about the identity of the three men. Soon after, police took three suspects into custody. David Michael Lambert, 26, from Springfield, Justin Charles Bilyeu, 25, also from Springfield and Anthony William Adcock, 23, from Goodlettsville were all taken into custody. All three suspects have been charged with Burglary, Felony Theft and each given a bond of $30,000.00. According to Detective Morris, all three suspects have confessed to the burglary. Morris also said that the suspects could be facing additional charges from other Robertson County agencies. “It was a combination of great police work and assistance from the public,” Morris said. 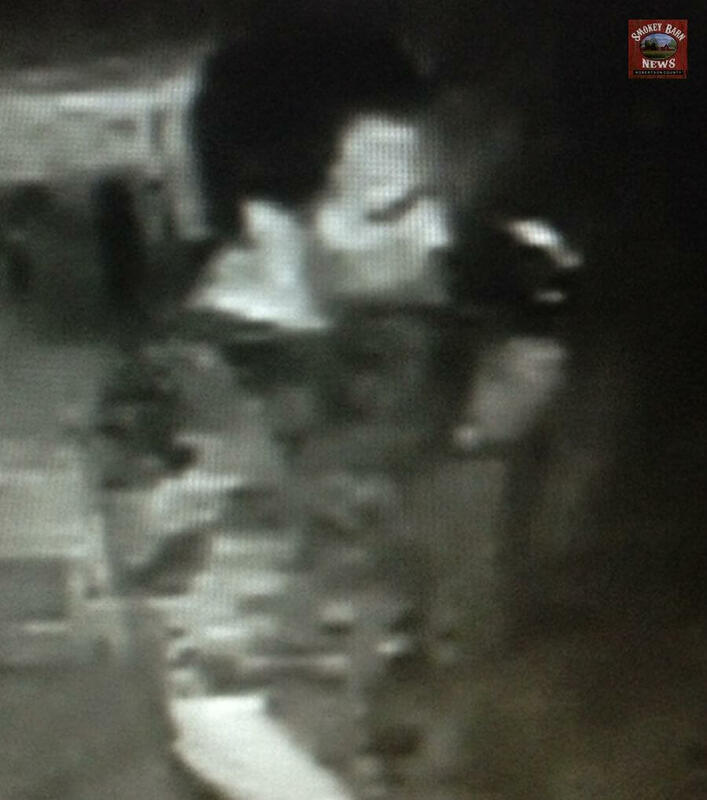 SPRINGFIELD TENNESSEE: (Smokey Barn News) – On September 14th from about 11:00 p.m. to 2:30 a.m. Lee’s Building Center located at 2903 Memorial Blvd, Springfield, TN (MAP) was burglarized by three White males. Photos are of the three suspects and what looks to be their vehicle pulling an older tandem trailer. The vehicle appears to be a General Motors SUV, four doors, a medium color, maybe silver or champagne. The suspects appear to be organized and took their time. Two of the suspects, wearing camouflage shirts, came in on foot to check out the property, and then they all returned in the vehicle about an hour and a half later and picked out pressure treated lumber. The type and quantity of lumber taken might be used for a large deck. Several bags of Quikrete were also taken. Anyone with information regarding this crime is encouraged to contact Springfield Police at 615-384-8422 or Crime Stoppers at 615-382-3799. All information is anonymous. I read that two of them were dumb and one wasn’t dumb, that he just got pressured into it. So evidently, he’s really smart and has his act together. He’s a good guy, and he’s not dumb. He just got pressured into robbing some lumber and concrete to build a deck. See? He’s a hard working boy. He was going to build a deck! It wasn’t his fault they told him he would be a big sissy if he was too scared to steal those building materials. He had no choice. Nobody can resist that kind of pressure, dumb or not. If somebody tells you that you are a big sissy baby tattletale if you don’t steal this lumber with us, you have no choice. You have to prove to them that you are a big boy and put on that camouflage, and steal those materials. Any smart person would do that. Nobody wants to be a big sissy baby tattletale. He couldn’t help it. I’m so sorry that this happened to him. Poor little guy. All three are just useless trash. Is this Tonya that I let live with us when you had no were to go and was stealing from us?